Have you been contacted by your “internet marketing company” or “web experts” prompting you to pay a final activation fee? 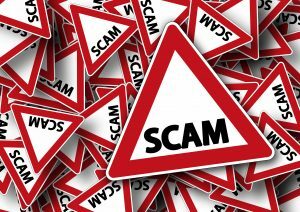 It has come to our attention that in the wake of Google’s crackdown on Google My Business scammers (such as Point Break Media LLC, BeyondMenu, and more) a new wave of Search Engine Optimization company scams have begun calling business owners across the country. After speaking with both our existing clients and clients-to-be we have uncovered new deceptive tactics being used to trick business owners into providing sensitive personal information. We already know that impersonating the larger search engines such as Google results in lawsuits and hefty fines from the FTC, and these new scammers know it too! By using vague language and following your conversational leads, the goal of these mystery callers (often from overseas) is to make you believe they are the SEO service provider you are already working with. Several of our clients have reported receiving calls stating that the work on their online presence is “almost done” and then prompting payment for a “final activation fee”. These callers rarely introduce themselves, and when asked if they are your existing marketing company, for example, “Are you BroadLeaf?” they will say yes. Unless the caller explicitly identifies themselves at the very beginning of the call as your BroadLeaf Marketing & SEO account manager by name, you may be the target of a new SEO Company Impersonation Scam! Once these scammers have led you to believe that they are your internet marketing provider, the requested fee amount is unlikely to raise any red flags. We’ve had reports of small fee amounts such as $1.00, $5.00, or $10.00. 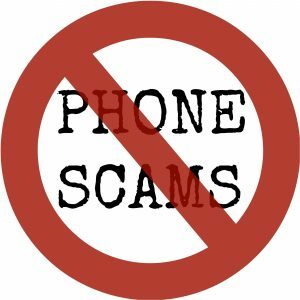 This combination of impersonating reputable marketing companies and concealing their true identity paired with a low price tag has made these scammers experts at tricking you into providing your sensitive information over the phone. 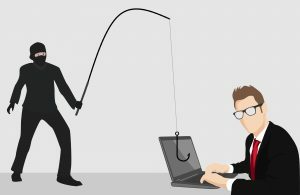 By impersonating smaller SEO, web development, and internet marketing companies, these scammers are less likely to raise a red flag to business owners and more likely to avoid the consequences of harsh legal retaliation. What Are These Scammers Doing With Your Information? This is our biggest, most concerning question. While we have not received any reports of sequential fraudulent charges, this certainly could be the end-goal and worst case scenario of this redesigned internet marketing scheme. Another potential objective behind these calls is to establish a way to charge you more money in the future (for example, additional services or fees), or even to sell your personal and contact information to other scammers. As of today all we can do is speculate the motives of these scammers. It is our hope, that with your help, we can gather more information that can be used to protect business owners nationwide. If you believe you have accidentally paid a scammer believing it was BroadLeaf or the internet marketing company you are working with, please contact us! We are looking to compile representative names, company names and or company website URLs, receipts, invoices, phone numbers, and any additional information that could assist our staff in identifying these scammers and their motives. Going forward we will be regularly updating this list as we receive more reports from those who have been contacted by these scammers. We value the privacy and security of each existing BroadLeaf client, and we are going to be implementing stronger security features to guarantee that you’ll always know when you’re speaking with an official BroadLeaf representative. 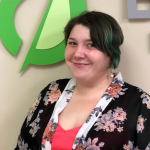 BroadLeaf has already set the highest industry standards when it comes to activating new services and processing payments. Each new and existing client is provided with an electronic document detailing services, credit card authorization forms for monthly recurring charges, paid in full invoices, receipts, and more, all of which are branded with our company identity. Each client is assigned a dedicated account manager, and as we roll out new security features you can expect to be contacted by your account manager who will provide you with more information. If any of this information seems familiar, you may have become a victim of this new scam. You may have provided your personal information over the phone to someone other than your BroadLeaf account manager, and you may have even paid the nominal “activation” or “finalization” fee. After speaking with victims of this scam we have found that receipts are rarely provided after the payment is processed, a callback number is rarely given, and the mystery caller essentially disappears. Contact your account manager immediately and provide them with any information in regards to the call in question. We are gathering information to protect both our clients and other business owners nationwide. Check your email for a paid invoice or receipt after paying the small fee. If you feel comfortable doing so, please forward the confirmation email/receipt to your account manager’s official broadleafseo.com email address. Check your credit card or bank statement for the name associated with the charge. If you’re able to, please provide your account manager with the company/merchant name. If you’ve been able to confirm that the charge was in no way associated with BroadLeaf Marketing & SEO or your established internet marketing service provider, consider calling your financial institution to report a fraudulent charge. Monitor your accounts for potentially suspicious charges following the suspected scam call. 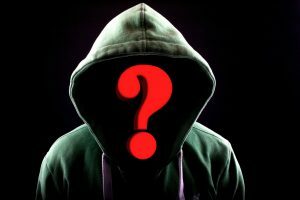 BroadLeaf Marketing & SEO wants to protect business owners from these predatory scammers, and with your help, we hope to unmask these criminals and protect you and your information from falling victim to their schemes.